29-year-old Lily Barlow grew up on boats and on the water. Our families connected in 1985 when my dad sold her dad — an Australian adventurer named Keith — two Beechcraft Queen Airs. Her partner, Marc Richard, started sailing over a decade ago during a world tour using only natural power. 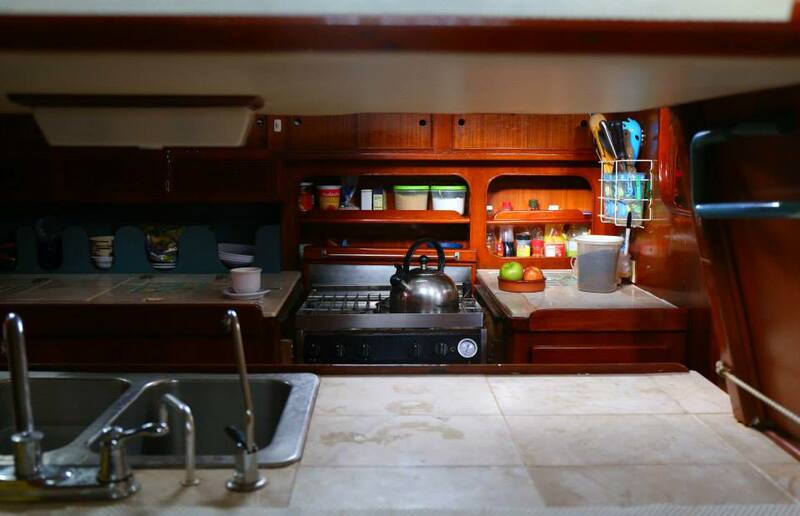 After cycling from Scotland to China, he turned to sailing as his lifestyle. 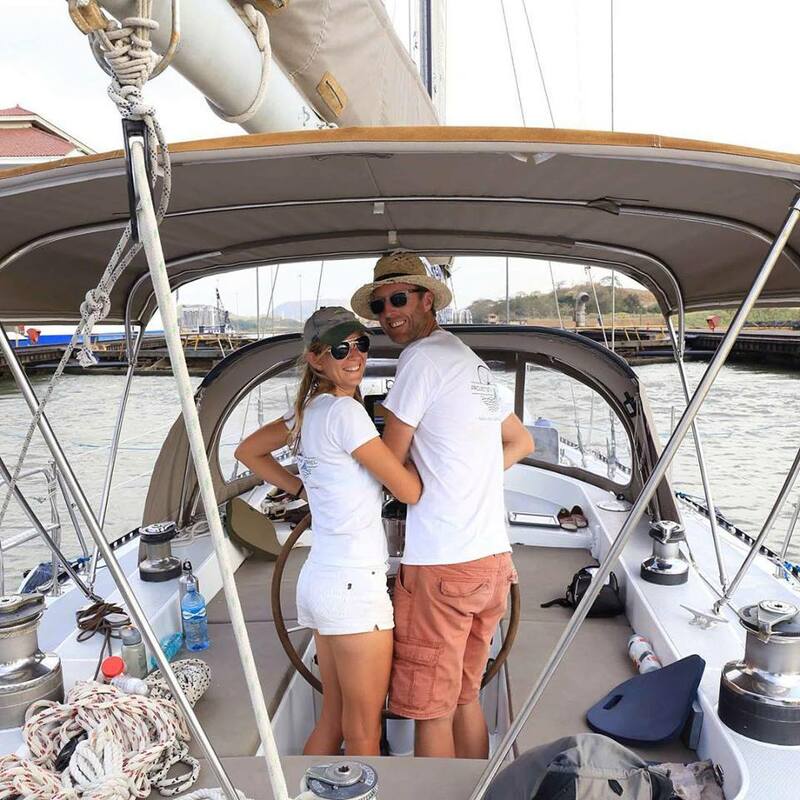 The couple met seven years ago as they were both sailing on other people's boats in the British Virgin Islands. "Even then, we talked about each wanting a business on the water, with bicycles as centre stage and an opportunity to teach people how to sail or more generally to get out there," she explains. "Once we coupled up and started working together as Captain and Mate-slash-Chef on large private yachts, it didn't take us long to put together a plan for the biggest project of them all: our own sailing and cycling business in the South Pacific. Our aim is to encourage adventure travel in an eco-friendly way, to make sailing more accessible, and to combine the two best ways to explore: by sailboat and bicycle." Wanting to provide eco-conscious and active travel blended with luxury, Projection Travel became a reality. Lily, who was born and bred in Vanuatu, has cycled across Europe, sailed the Atlantic, biked across the United States, and sailed her own 30-foot sailboat from Los Angeles to Brisbane. "I never really rode a bicycle until I was 21 and traveling around Europe," she says. "For several months, I was hitchhiking everywhere, which was a great way to meet people and travel big distances. All the highways and petrol stations got to me though, and I started to want my transportation method to keep me fit. That's when I started long distance cycling and realized the bicycle is the best way to see the world. The sailing came a year later, when I wanted to cross the Atlantic Ocean without flying. Burning fossil fuels by the mega-gallon didn't seem like a sustainable way to travel, so I learnt to sail." 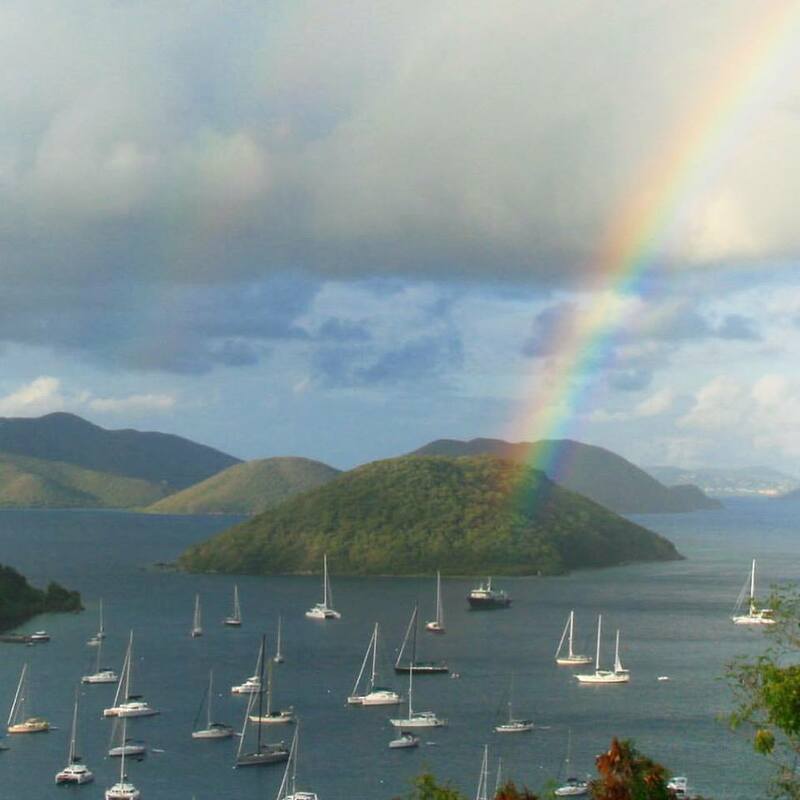 While sustainability is ultimately the main motivation behind Projection Travel, Lily also expresses the other benefits of sailing, such as having a deeper connection to the Earth and to humanity. "I loved that I could cross an entire continent by just moving my legs in circles," she explains. "Or transit from the Americas to Australia on just a breath of air. Once I started though, I realized all the other benefits by slowing down to really see the world. Feeling so much more connected with the places and people I was traveling through brought meaning to my travel. When you're sailing, you learn about the stars, the moon, the universe around you. You feel part of a greater history, and the interactions with those around you is so much more genuine and profound." 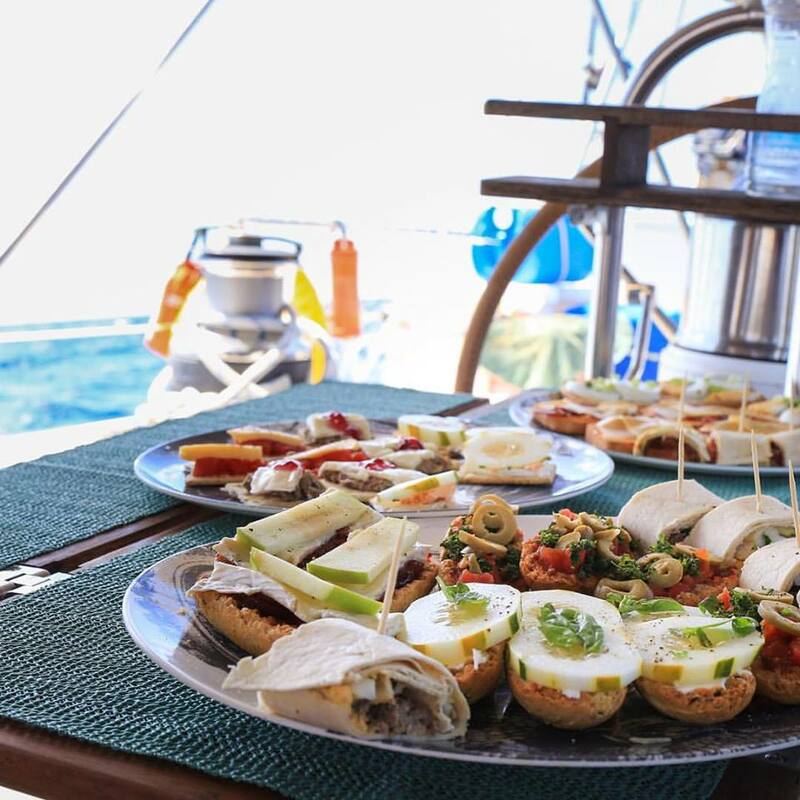 A typical day aboard the Projection either falls into offshore sailing or coastal cruising, which involves exploring islands and their coastlines. On a passage, which may be three days or thirteen, everyone takes two-to-three-hour long watches to keep an eye out, adjust course as necessary, and trim sails. Usually this is done in pairs, opening the opportunity to learn about sailing and communal with the stars. Time off is spent reading, napping, writing letters, cooking, or taking in the surroundings. When exploring close to shore, Lily describes a scene of waking up in a calm bay surrounded by palm trees and beaches. "Hand ground and freshly brewed, the smell of coffee comes wafting into the cabins. Breakfast is out on the cockpit to take in the panorama with something delicious like smoked salmon and ricotta with poached eggs alongside a platter of local fresh fruits." "A dip in the water or a play on the SUP board is rarely far behind, and we'll pack a picnic for our next adventure — maybe a kayak? A bike ride? A waterfall hike? You may want to just chill in the hammock and read all day. There's a lot of flexibility on board, so if some want to explore and others want to relax, it's all possible." Afternoons are spent lifting anchor and hoisting the sails for a few hours. "If we're lucky, we'll catch a fish along the way," she says. "Then we'll drop the hook in time for a sunset cocktail and get something whipped up for dinner, such as sushi, ceviche, roasted veggies, or some skewers on the grill. Often there are friends, other sailors from all walks of life, anchored nearby and we'll have a dinner party." Through Projection Travel, Lily and Marc hope to inspire people to think outside the box. "Travel, even when it's to paradise locations, doesn't have to mean just lying on the beach," she says. "The islands of the South Pacific have some incredibly rich histories and diverse landscapes, most of which cannot be accessed by cruise ship, or even by plane or car. Sailing into these locations gives you a unique perspective and an opportunity to feel a part of the landscape, rather than just being a spectator. Exploring them by bicycle — or kayak or snorkel — brings you closer to the people and to the natural pace of island time." They also hope to excite people to try new things while leaving only a light footprint. 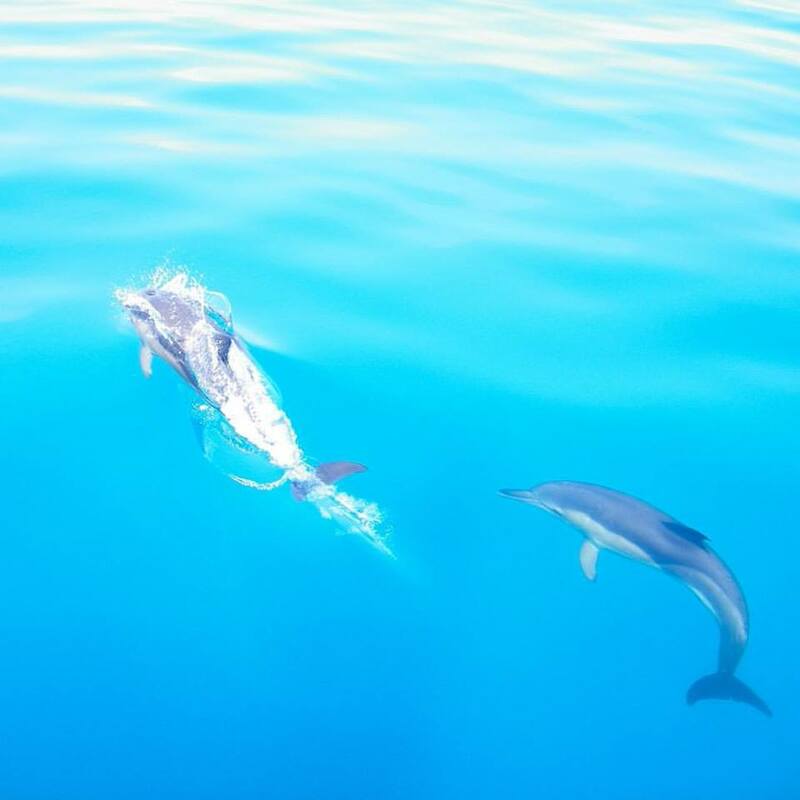 All of their energy on board comes from solar or wind power and their water is made by desalination, representing the important connection their lifestyle has to the protection of the oceans. "Ultimately, we hope we can encourage people to incorporate these ideas not just into their travel, but into their life as a whole." According to Lily, they've already accumulated plenty of good stories from the unplanned and mundane moments from the Projection's journey so far. In one particular story, she describes a picnic during an adventure tour in the San Blas Islands of Panama. "After a long day of snorkeling and kayaking around some of the most picturesque little islands you could imagine, we decided to take the dinghy while the boat was left at anchor, a few beers, and a picnic over to a small isolated island in the distance. It was tiny. It had one single palm tree on it, and a quintessential circular white sandy mound of a beach. The sun was slowly setting as we nibbled on french cheese, cured meats, and home-baked goodies atop our colorfully pink Turkish towel picnic blanket with waves gently lapping at the shore just two meters away. It was a completely unplanned moment, an unnamed island, and an unforgettable landscape — the kind of opportunist adventure you can only experience when you're anchored in the middle of nowhere on a sailboat." As far as why someone should choose Projection Travel, for about $220(USD) a day, you get your own private sailboat, an aluminum and carbon quality-built bicycle, gourmet meals, one-on-one sailing instruction, kayaks, SUP boards, yoga, hammocks, fitness toys, snorkeling gear, onshore excursions, and an opportunity to see places in the world where few can experience and access. 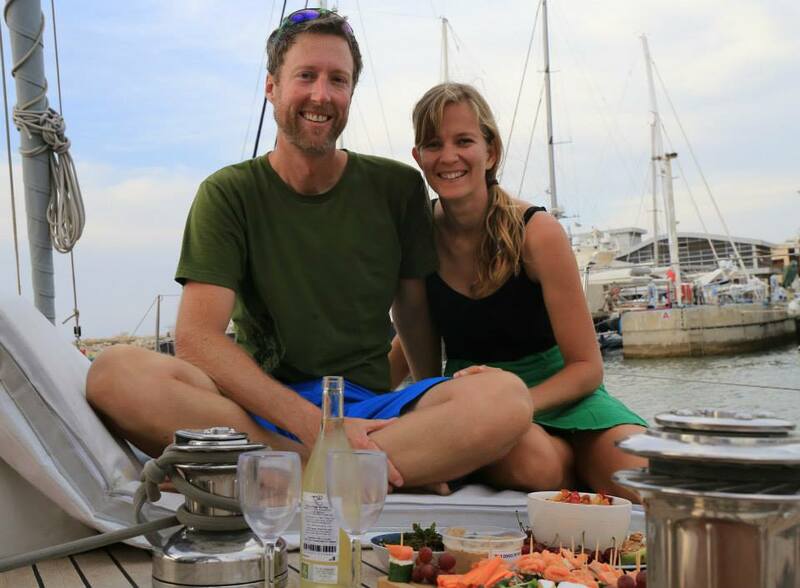 "Traveling by bicycle and sailboat whilst eating well and having meaningful interactions with lasting memories — we combined it all for a reasonable price because we want to get you out here," Lily says. "Let's see it together, explore it together, and protect it together." Interested in sailing and cycling the world with Projection Travel? Check out their website and follow them on Facebook and Instagram. All photos by Projection Travel.